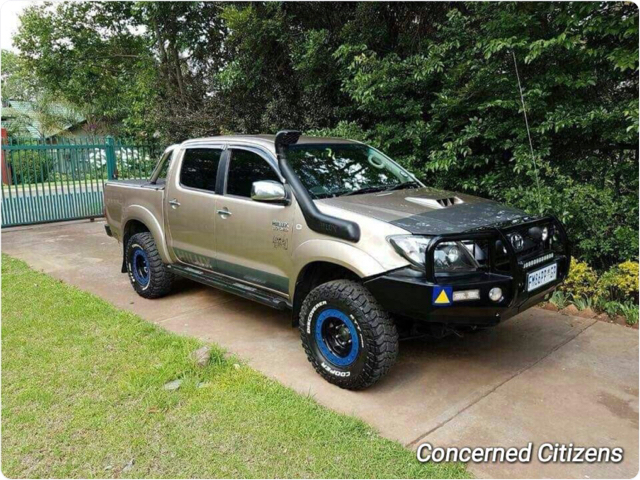 #LOOKOUT Grey Toyota Hilux 3.0D Raider 4x4 A/T D/C Mod 2012 BS09BXGP Stolen in Groenkloof, PTA, GP. BROOKLYN 497/11/2017. #LOOKOUT GOLD TOYOTA HILUX D/C 4x4 Reg: DB83TTGP stolen at Markro, Brakpan. No canopy.